Hello Fashionistas! One of the biggest trends this summer is pleats. Pleats on dresses, mini-skirts or maxi-skirts and no wonder why actually! You see pleats give movement and femininity to the outfit, maybe that’s why they were used so much in ancient Greece. 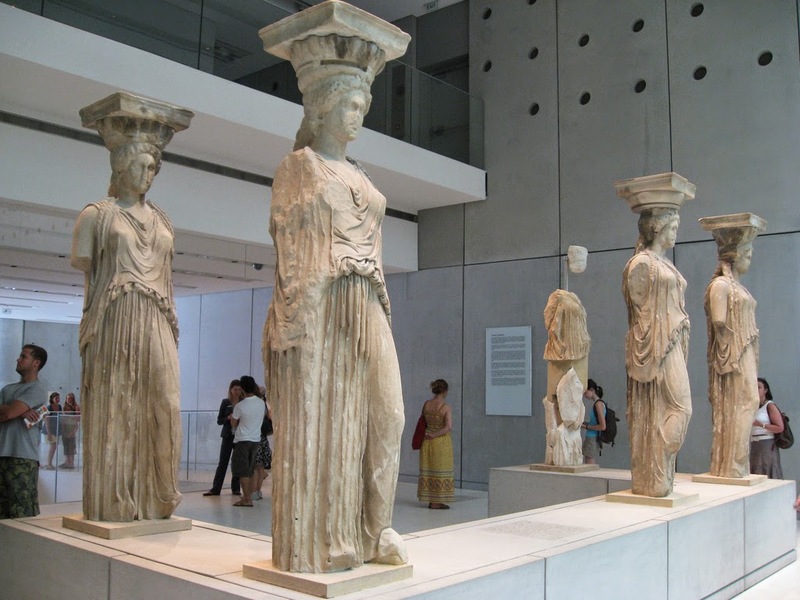 In order to understand that myself, I decided, that this post had to take place at the New Acropolis Museum. The ancient ruins were a great background and I got to see and admire once more the detailing of the Caryatids and Korai (statues of daughters) dresses, which were full of pleats. The sculptors of that time worked hard on building these statues exactly as they were, with all the details. As for my outfit, I chose to wear a maxi, floral, pleated skirt combined with pink accessories, as you know floral is also a huge trend this summer, so you will probably come across it in more of my next posts. I’m looking forward to your opinions on the outfit, stay tuned for more and have fun! P.S Who doesn’t want to look like an ancient Greek Goddess, right? Such a lovely skirt, I love it ! This is such a cute outfit :) I love your skirt, and your ring is beautiful ! You are so pretty. Love your colorful outfit too it's so chic. That skirt and those sandals are beautiful!